Note : Make reservation at least one month before the trip! 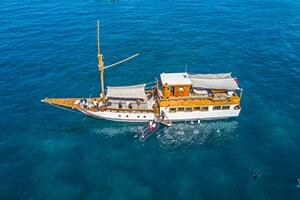 The Aquamarine private speedboat Charter is the perfect choice if you are traveling in a small group of 12 people. 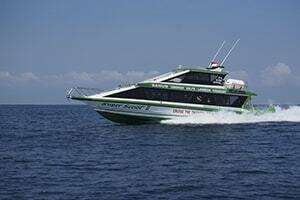 A luxury high-speed boat Aquamarine is our pride for private Komodo island tours. It brings you to the new traveling lifestyle. Aquamarine luxury speedboat is suitable for your activity queries, such as snorkeling, fishing, dragon adventure and many more. The professional boat crews are ready to serve you along the way you do the trip. They are Indonesia and English speaking crews. The speedboat with the outboard 250x3 Yamaha engine, complete with the Air conditioning cabin and sundeck. There are also a sofa and a large bed cozy room. 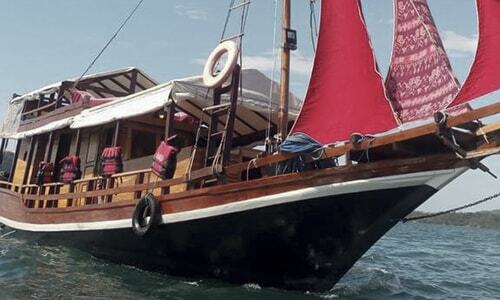 Komodo private speedboat tour allows you to customize your own places to visit on Komodo National Park. 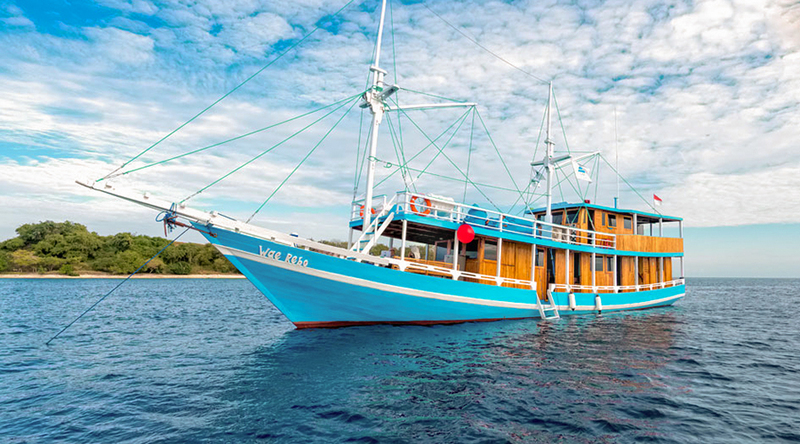 It looks much efficient using speedboat for a Komodo dragon tour, especially if you have only shorter times.